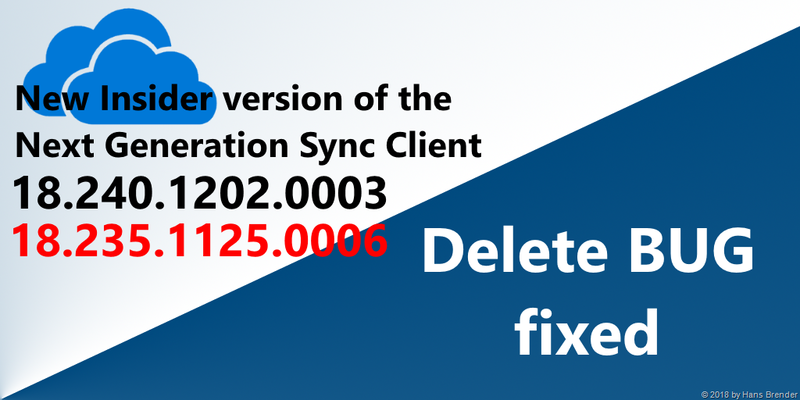 Microsoft has released at the end of the year 2018 a new version of the Next Generation Sync Client (OneDrive.exe). It was published in the Insiders Ring, has the number 18.240.1202.0003 and fixed a bug in Version 18.235.1125.0006. So in the version 18.235.1125.0006 you cannot delete a file with the Windows Explorer in a synced Library, if you do not have a Internet connection. Status of this file is “rolling out”, but I myself have not seen any automatic download. I have to install it manually. If any of my readers have seen, that this version is installed automatically, you may send me a notice.